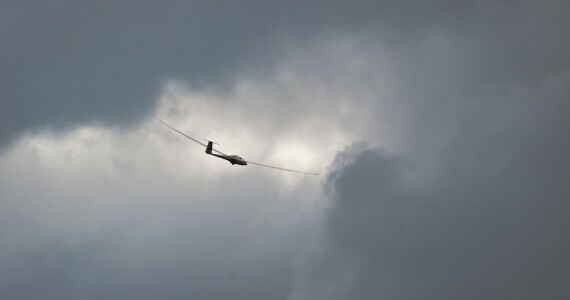 Gliding is the ultimate adventure sport, a sport that requires the pilot to harness the power of nature to stay airborne whether they’re flying locally to their club, flying long distances cross country or soaring at high altitude. Exhilarating, affordable and inclusive, gliding is enjoyed by people of all ages, physical abilities and backgrounds. It can be as exciting and challenging as you want it to be, and there are many diverse aspects to discover. No two flights are the same with the pilot continually attempting to make the best possible use of the conditions on the day. From flying close to the local airfield to cross country, long distance and mountain wave flying to competitions, aerobatics and vintage aircraft there really is something for everyone. Gliding involves flying unpowered aircraft using the same naturally occurring currents of air that birds use to fly. Using these invisible currents of air, known as ‘lift’, you can soar to great heights and travel great distances around the country at average speeds of over 100 miles per hour. Typical cross country flight distances are around 300km, but flights in excess of 1,000km and altitudes of over 30,000 feet have been achieved in the UK with even greater heights and distances achieved in the mountainous regions of the world. 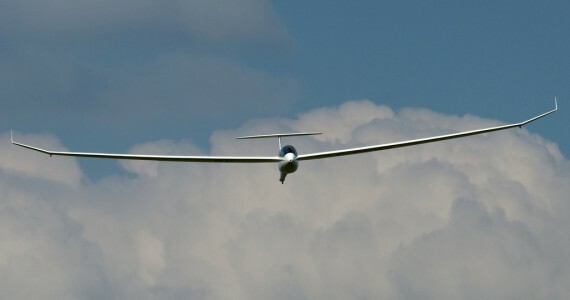 Gliding instruction is provided free of charge at most clubs. It takes place under the supervision of highly qualified BGA instructors who are subject to regular competency checks. The average club membership cost is around £350 per year, which compares favourably to annual fees for other leisure activities such as golf or tennis. To help you budget, a number of clubs offer an all-in fixed price to solo package. 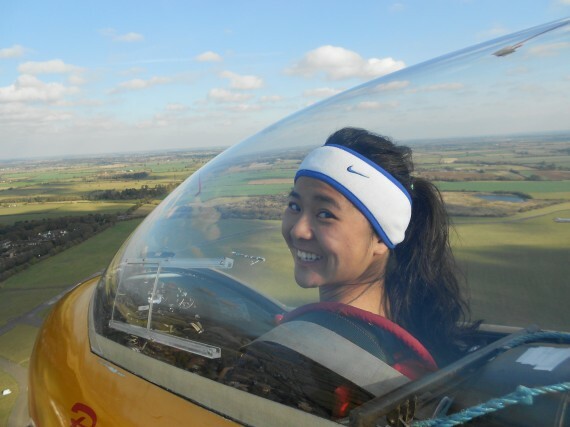 These fees are often reduced for students and junior members, with gliding for under-25s subsidised by the BGA and by individual clubs which run their own schemes for juniors. Most long thermal cross-country flights, particularly in England are done throughout the warmer summer months. 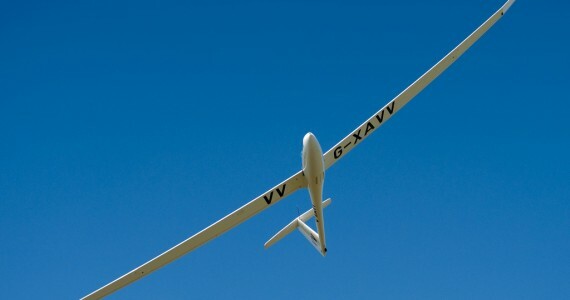 However, clubs in hillier regions of the UK – most of Scotland, Wales and the Pennines – often encounter some of their best soaring conditions during the autumn and spring. 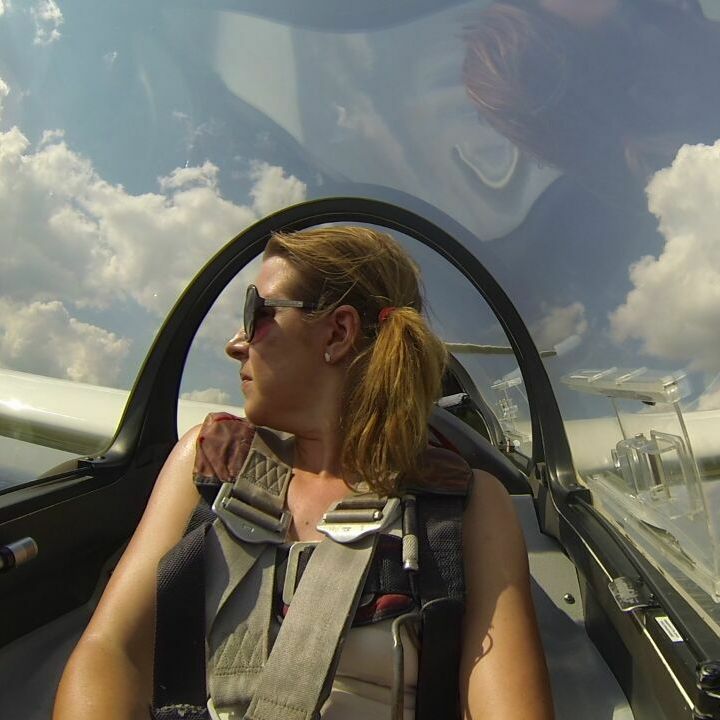 In the main though, the optimal weather conditions for gliding are sunny and not too windy. 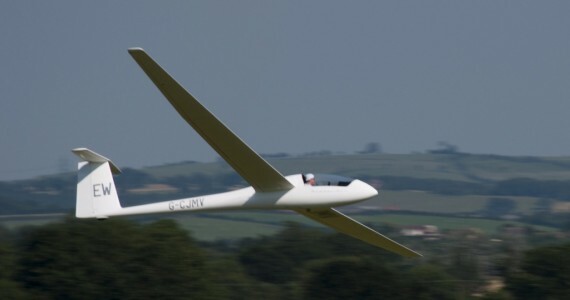 Clubs run training and fly throughout the year weather permitting with the main cross country gliding season running from May to mid-September. Although not always the best for cross-country flights, the period from September to March can be a great time to learn to fly. Clubs are less busy, allowing you to make rapid progress to solo standard. Generally speaking, the only things that will stop you flying are persistent rain, low cloud and gusts of wind over 30 mph! 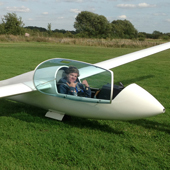 With around 85 sites throughout the UK stretching from the Highlands of Scotland to the south west tip of England, wherever you live you’ll never be far from a gliding club. All clubs welcome visitors, so please go along and find out at first hand what the sport is about. 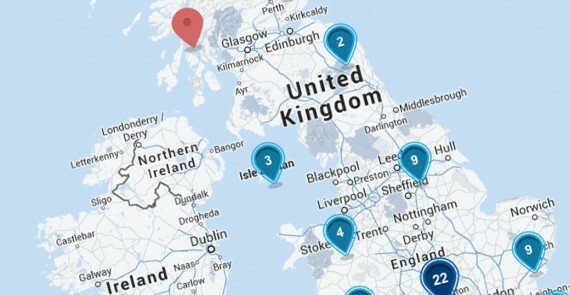 Find your nearest club using our interactive map or visit our club pages section for links to individual club websites. Clubs vary in size, in facilities offered and, because they are situated in different parts of the country with different geographies, a variety of flying conditions. Pilots enjoy visiting other clubs for the different flying possibilities available. 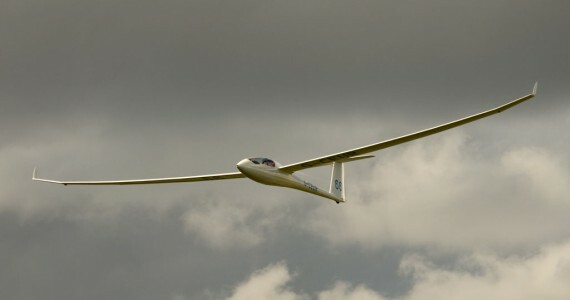 Many combine gliding with overseas holidays to experience the particular thrills of flying in the French Alps, the lakes and mountains of New Zealand, the plains of Australia and South Africa, and other gliding destinations. Steve took up gliding in 1998 as a way of revisiting his beloved hills, after losing the use of his legs in a motor cycling accident. 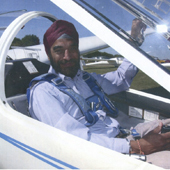 His disability has not proved to be a handicap to the retired youth and community officer and Steve flies his sailplane, which has been adapted for hand-only controls, at various sites around the UK and abroad, although most of his gliding is done at Portmoak in Scotland where there is a splendid ridge to soar. 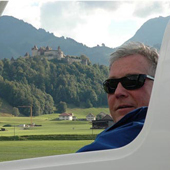 While he participates in all forms of gliding, including aerobatics and competitions, Steve is particularly enthusiastic about mountain flying where his achievements include a 300km flight along the spine of the Pyrenees and a 23500ft high flight over the Cairngorms. 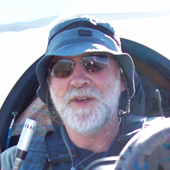 Steve enjoys gliding because of the sense of freedom it confers, while having the challenge of making decisions and judgements to ensure a safe flight – all this against a backdrop of beautiful landscape, particularly when mountain flying. 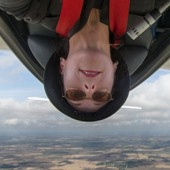 You can read more about gliding for people with disabilities or limited mobility here. Tochi Marwaha, 63, is a retired Army Lieutenant Colonel. Before getting the gliding bug he was a top level hockey player who represented Uganda, the Army and the Combined Services. 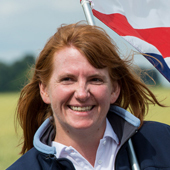 He started gliding in 1986 at Wyvern Gliding Club (WGC) and went on to represent the Army for 17 years in the Inter-Services Championships (1993 – 2009), winning the Sports Class on one occasion. He holds an FAI Diamond Badge (300km goal flight) and aspires to get the height and distance diamonds. He is also an instructor and is now on his second stint as the Chief Flying Instructor of the Wyvern club. Apart from flying and instructing he has been involved in the administration of the sport as Chairman of Wyvern Gliding Club and the Army Gliding Association. Whilst I fly motor gliders as an aid to instructing my best enjoyment comes from flying pure gliders, especially on cross country flights when you are one with the birds. It is a sport where you are always learning and improving and that brings its own enjoyment. The challenge remains to get the height and distance Diamonds and the dream to join the 750k club. John didn’t take up gliding until he was 40 when a job move to London meant that it became too difficult to go sailing. John now flies from Portmoak in Scotland where he is one of a small group exploring and constantly pushing the boundaries of what can be achieved by flying in mountain wave. His main interest is “Trying to do things that haven’t been done before.” The first person to achieve a 1000km flight in Scotland, his love of flying anywhere that isn’t too flat has taken him to Argentina where he has made a number of 2000km+ flights and he has briefly held the world record for the fastest 1500km flight. John says that he enjoys the views of the hills, the peacefulness, the angst, the adrenaline, and the membership of a community of like minded nutters. When not flying, he is a member of the BGA Executive Committee and Chairman of the BGA Airspace Committee. In 2007, John was awarded the Royal Aero Club’s premier award, the Britannia trophy for the British aviator accomplishing the most meritorious performance in aviation during the preceding year.